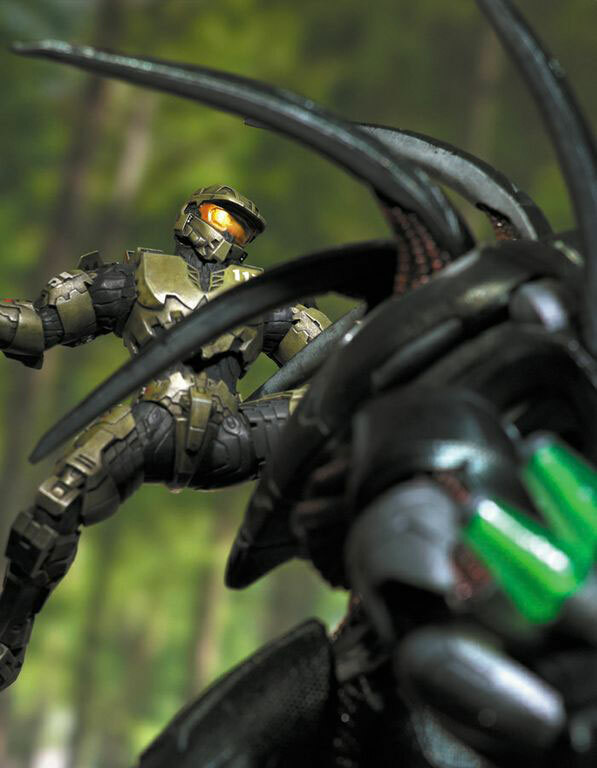 THE MASTER CHIEF VS THE HUNTER Statue Pre-order Now! 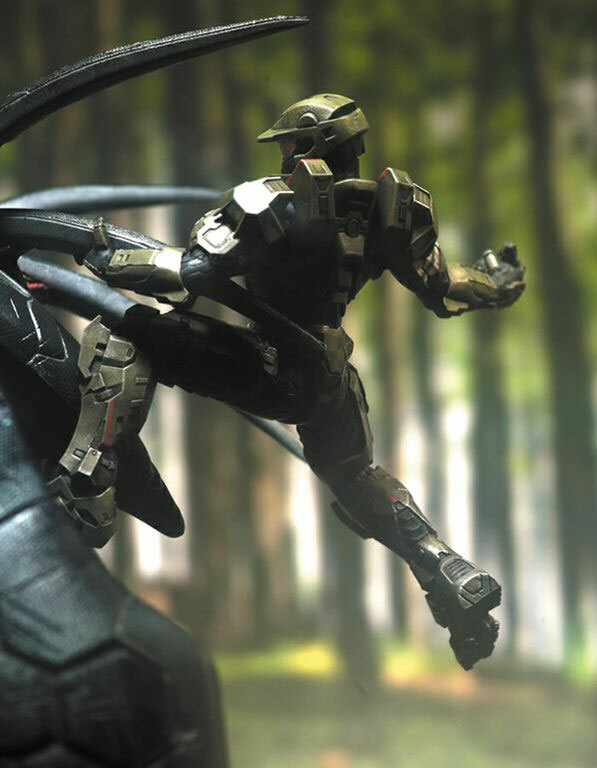 Tempe, Ariz. - November 2, 2012 – McFarlane, Microsoft Studios and 343 Industries reveal the first ever HALO 4: FORWARD UNTO DAWN resin statue THE MASTER CHIEF VS THE HUNTER. HALO 4: FORWARD UNTO DAWN is an exciting story of heroism and sacrifice taking fans back to the beginning of the Human-Covenant War. The live-action digital series created in partnership with top Hollywood talent from film, television and new media, FOWARD UNTO DAWN delivers an exciting story, leading into the events of Halo 4, the biggest entertainment event of 2012. 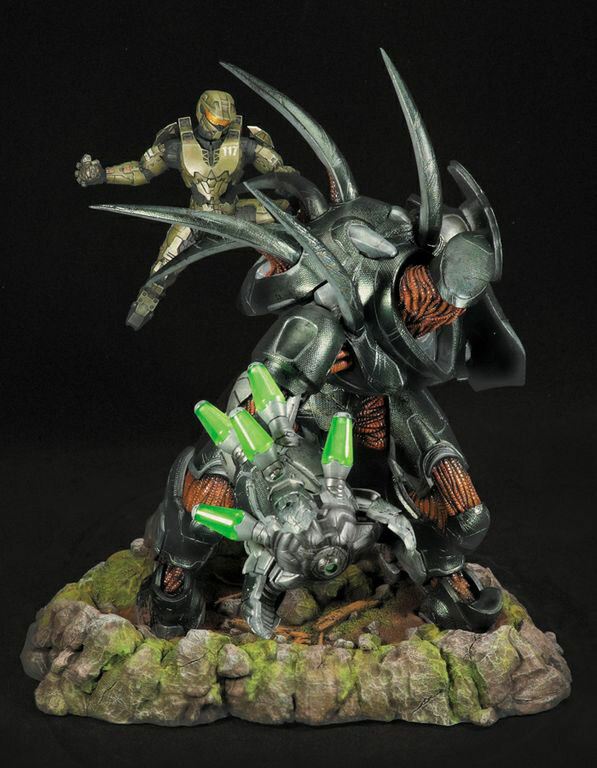 This highly detailed, hand-painted, cold-cast resin statue depicts the series' climactic scene, when the Master Chief - out of ammo and out of options - single-handedly faces the unstoppable rampage of an invading Covenant Hunter to save the lives of UNSC Cadets. This selfless act of heroism inspires the Cadets, especially young Thomas Lasky, to become soldiers capable of defending humanity against its powerful new enemy. Decades later, Commander Lasky and the Master Chief reunite to face a threat even greater than the Covenant in the most anticipated video game of 2012, HALO 4. Commemorating this inspirational moment, our "The Master Chief vs. The Hunter" statue is limited to only 500 pieces, stands at over 14-inches tall on a base spanning 13" wide by 7" deep, and includes a Certificate of Authenticity signed by McFarlane Toys' creator Todd McFarlane. 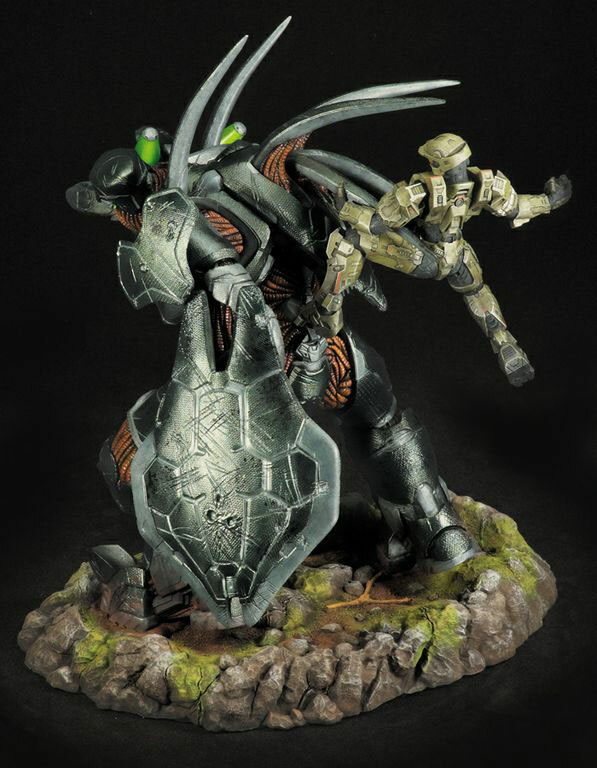 The Halo: Forward Unto Dawn statue is planned to ship December 2012. Customers will not be charged until the order is ready to ship. Watch McFarlane Toys' creator, Todd McFarlane's THE MASTER CHIEF VS THE HUNTER statue reveal on "After Dawn" on Machinima Prime (http://www.youtube.com/user/MachinimaPrime) and Halo Waypoint (http://www.halowaypoint.com/en-US/?/). 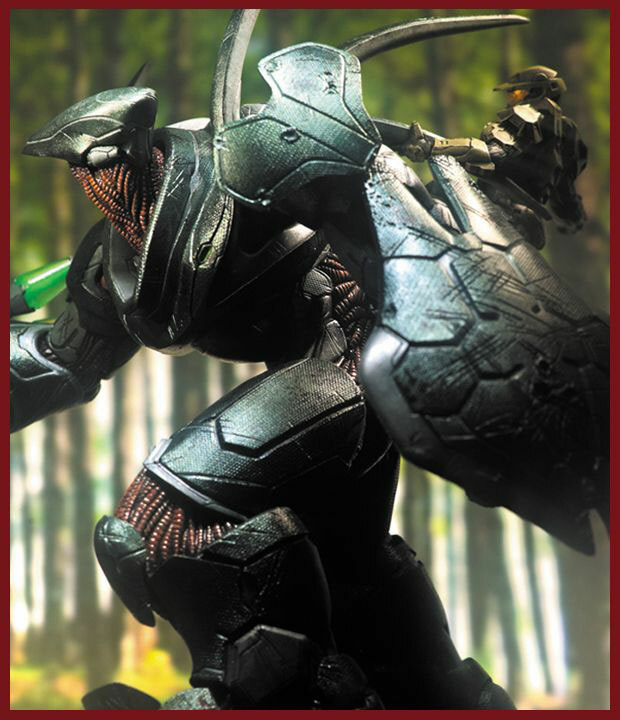 Stay tuned to http://www.McFarlane.com for more info on this statue, along with news on all the awesome McFarlane Toys products. ABOUT MCFARLANE TOYS: Grammy-and Emmy-winning producer/director Todd McFarlane, creator of Spawn is the force behind McFarlane Toys, one of America's top action figure manufacturers. 2012 marquee lines include "The Walking Dead" TV and comic lines HALO, HALO 4 as well as the officially licensed teams of the NFL, NBA, MLB and NHL. 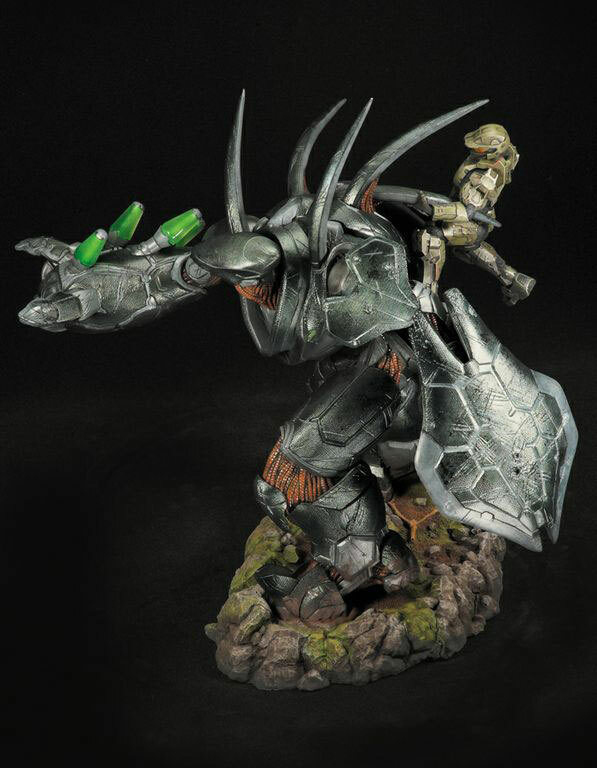 McFarlane Toys has expanded its product offerings to include highly collectible resin statues, available on http://store.spawn.com. McFarlane Toys has become a leader and redefined the standards within the action figure industry.